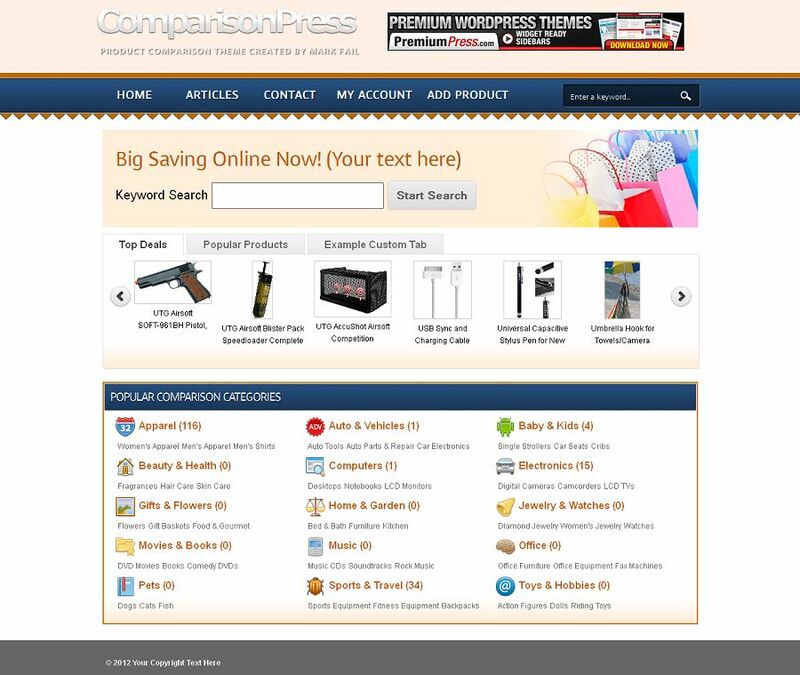 ComparisonPress is a premium price comparison theme for WordPress that lets you setup price comparison websites and earn affiliate commission online. This theme allows to add products manually or you can automatically import them from Amazon, Ebay, Datafeedr, CSV/XML feed. You can easily customize the layout of your website colors, images and column layouts usng the build-in design tools. You can turn on/off the ability for visitors to submit their own products to your website and charge users for adding their products. ComparionPress has been developed with search engine best practises to ensure your website ranks higher in search engines. You can search, filter and import products directly from Amazon, Ebay and Datafeedr right from the ComparionPress Admin Area. Add or import products as a ‘compared product’ and the system will display products in a price comparison layout. You can setup products with your own buy links and/or use affiliate links so you earn commision, links can also be cloaked for better SEO. Copy/paste your advertising code directly into the Admin Area, you can setup advertising per category, header, footer and left/right sidebars. Get 70% discount on your WordPress theme purchase at PremiumPress. Use the coupon code "XMAS2018" to get your discount on all single theme purchase and VIP theme purchases. Valid thru Nov 1st - Dec 31st 2018.